Asian Handicap betting is designed to create a more level playing field when it comes to wagering on football matches. Asian Handicap betting applies a goal, or a ‘ball’ handicap to more successful teams, meaning they’ll have to win by a greater margin of goals in order for a wager to be counted. Asian handicaps reduce the amount of outcomes a player can wager on to two, disregarding draws. There are two main types of this betting method, including Simple Handicaps (or ‘Single Handicaps’), offer straightforward betting on single odds and outcomes, while Split Handicaps (otherwise known as ‘Twin Handicaps’ or ‘Two-Way Handicaps’) allow players to split their bet, placing half their wager on one handicap, and the remainder on another. What Exactly Is Asian Handicap Betting? Asian handicap betting is a relatively recent arrival to the gambling scene, first gaining momentum in the 1990s. By the early 21st century, the football betting method had gained incredible popularity on home soil Indonesia, and became popular throughout much of the Europe and the UK not long after. Asian line betting allows players to enjoy a much more level playing field when it comes to betting on games with teams of dramatically different performance history and goal scoring statistics. Asian handicap betting essentially makes for a 50/50 chance of success every time, although prizes and returns can be nurtured by opting for the right handicap scores and split bets. There are different types of Asian Handicap types and here we will try to have them explained. Before we begin we need to understand what an Asian Handicap actually is. This is a form of betting in football where teams are handicapped according to their form, so the team with the highest chance to win needs to win by a certain amount of goals for the person who bet on it to win. This type of betting reduces the possible outcome from three to two because the draw is not considered in this type of betting system. The handicaps are usually divided into 0.5, 0, 1, 1.5 and a double handicap. The main aim of this system is to give each team an equal chance and making the bet more interesting. Draw no Bet is used when teams are considered level before the game. For example, if Liverpool plays Chelsea. The Asian Handicap will be at 0:0 with odds at 1.5 for Chelsea and 1.6 for Liverpool. You bet £100 on Chelsea to win. This is how the situation will play out. You will win £50(150-100) if Chelsea wins the game and if it’s a draw your money will be given back to you and if Chelsea loses you lose your bet. The same scenario applies to a person who bets on Liverpool as well. In this type of handicap one team starts the game with quarter a goal. This team is usually the underdog. There is no draw option in 0.25 Asian handicap. How this plays out can be explained in the following example: Auxerre Vs PSG at an Asian Handicap of -0.25:0.25. The odds are set at 1.7 for PSG and 2 for Auxerre. If you bet £100 on Auxerre to win -0.25 AH in order to win you need Auxerre to win, if they draw you’ll lose half your bet £50 and you’ll get the other half £50 back. If Auxerre loses you’ll lose your entire stake. If you bet the same amount on PSG winning at 0.25 AH in order to win you’ll need PSG to win. If the game ends as a draw you’ll get half your money back at a profit (£50+£85) and lose the other half. Here the underdog starts with a half goal before the teams start. The draw option is removed and you either win or lose. You will not be getting your money back. For instance, its Arsenal Vs Norwich at -0.5/0.5 AH and odds are at 1.5 for Arsenal and 2 for Norwich. You bet £100 on Arsenal winning -0.5 AH. In order to win, you need Arsenal to win, if the game ends as a tie or Arsenal loses then you lose your entire stake. If you bet £100 on Norwich to win at 0.5AH. In order to win you need Norwich to win or draw by the end of the game. If Arsenal wins you lose your entire stake. In this type of AH, a goal is given to the underdog team. The draw option is also eliminated here. For instance AC Milan Vs Parma at -1:1 AH and odds of 1.5 and 2 respectively. You bet £100 on AC Milan winning at -1 Asian Handicap. If AC Milan wins by 2 or more goals then you win, if AC Milan wins by 1 goal you get your money back. If the game ends as a draw or Parma win then you lose the bet. You bet £100 on Parma to win at +1 AH. If Bologna wins or draws then you win. If they lose by 1 goal you get your money back, but if AC Milan wins by 2 or more goals then you lose your entire stake. The most common and profitable type has to be the 0.25 handicap because if you draw you get you money plus part of the profit back and if you won you still get your full winnings which is a plus. In this type of betting one tries to predict or ascertain the total number of goals that will be scored in a football match. For example, if you bet under 2.5 on a certain football match, you will win if it finishes with a maximum of 2 goals or less that is 0-0,1-0 and so on. Betting over 2.5 will mean that you win when the match finishes with 3 goals or more that is 2-1, 3-0 and so on. The most popular and probably more profitable is betting on the 2.5 range. An average match always has 2 or 3 goals scored, so it’s best to bet under 2.5 or over 2.5. The first and most common difference is the number of options. The Asian handicap has only two, you either win or lose there is no draw. On the other hand, in the standard 1×2 betting you can either win, lose or draw. In the Asian handicap, you only need to predict the scoreline that is how many goals will be scored by the team you are betting on. While in standard 1×2 betting you need to predict the whole outcome of the game for you to actually win your bet. The main difference between the two is the aspect of a draw. In an Asian handicap, a draw is not possible and you’ll have all your money refunded to you. This is not the case with a European handicap, a draw is possible and you lose your money if you draw. Example: Arsenal is playing Norwich city. The handicaps are placed at -2 for Arsenal and +2 for Norwich. In an Asian Handicap if Arsenal only scored two goals then you’d have your money refunded, but in a European Handicap if Arsenal only scored two goals then it is considered a draw and you lose all your money. It’s best to use the double handicap when betting This is because with a double handicap you’ll be more on the safe side and you might lose some money but rarely will you ever lose all of it. For instance, if Manchester United Vs Chelsea at handicaps of -1,-1.5 and +1, +1.5 respectively, if Man Utd win the game by 1-0 you’ll get half your stakes back and lose the other half which in truth is better than nothing. If you’re still feeling confused about Asian Handicap betting, don’t worry. We’ve put together a few answers to some of the most commonly asked questions about the innovative betting method to help you strike out with a better gambling strategy. Asian Handicap first became popular in Indonesia but has since grown into a popular form of betting across the globe. 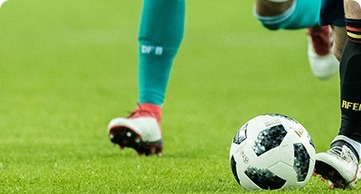 In countries where football remains a prominent league sport, the betting system is particularly popular and now offered by many leading bookmakers and online betting destinations. In native Indonesian, the betting form is referred to as “Hang Cheng”, with the term “Asian Handicap” first introduced in the late nineties. Asian Handicap betting remains one of the best ways to secure value bets, without the need for significant outlays to secure a payout. Do only Asian Bookmakers Offer Asian Handicap Bets? Although the system originated in Asia, Asian Handicaps are now a firm fixture of betting sites and bookmakers, and particularly popular in the United Kingdom and Europe where football remains one of the most followed and wagered upon sports. You’ll find prominent UK bookies like William Hill Sport and Ladbrokes all offering simplified Asian Handicap betting on many football fixtures, both premier league and international championships. Some bricks and mortar bookmakers may also offer Asian Handicap odds on local match fixtures, which can often mean higher value handicaps or advantages, increasing the chance of a more lucrative return on a successful bet. Even though it doesn’t offer the greatest returns, the rate of payouts and is significantly higher than in other forms of betting. For committed betting professionals, the methods offers a very viable way of accruing significant sums over a longer period of betting. For high rollers, the system can still yield big payouts if the funds for big initial wagers are available. With less outcomes to contend with, the chances of winning are dramatically higher. Compared to other types of betting, Asian Handicaps offer only a two-way outcome and a good rate of return. The handicap system is incredibly transparent and easy to understand, even for the novice, and with minimal research into team and player performance, and recent match and goal statistics, it’s easy to make an informed bet on a successful outcome of any typical football match. The system discounts draw results, meaning players can see their original stake returned, although successful bets don’t always yield the biggest prize margins. Can I Use Asian Handicap Betting on Other Sports? Asian Handicap betting can be applied not only to football fixtures, but also to many sports that offer similar ways to wager on game outcomes. Many American sports, including team games like basketball, baseball and American football, offer variations on the method, such as spread betting, with flexible betting and stakes that can be spread over individual periods within game for a higher chance of securing a payout on at least some of a stake. When betting on football matches it is best that you use Handicaps and, if possible, bet on a 0.25 handicap because the most likely scenario is that even if the team draws, you’ll still get half your money and part of the profit back. The higher chance of winning is on Asian handicap than any other form of betting because in European handicap the possibility of a draw is usually high so you stand to lose your money and in standard 1×2 betting you need to bet on the outcome of the match which can prove to be tricky. Any deviations and you lose your money but in an Asian handicap you only need to bet on the number of goals and if you get a draw you get your money back.